DIY: Easy color block coasters – free pattern! 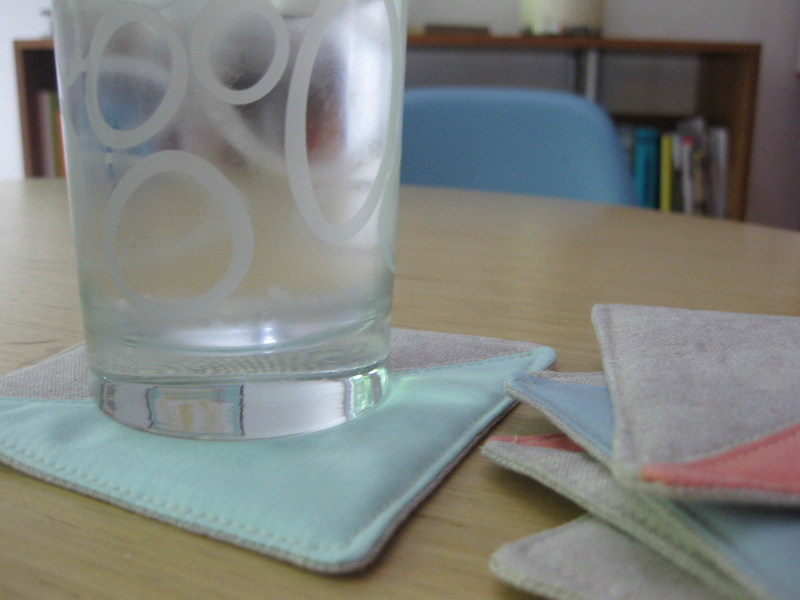 Just in time for ice cold drinks, these nifty linen and cotton coasters are ready to get to work catching drips (and adding some springtime color to your table.) Better yet, a set of these would make a lovely Mother’s Day gift. You can make a set of six in about an hour and your materials will cost $10 at most (or nothing if you are a hoarder of scraps like me). 1. 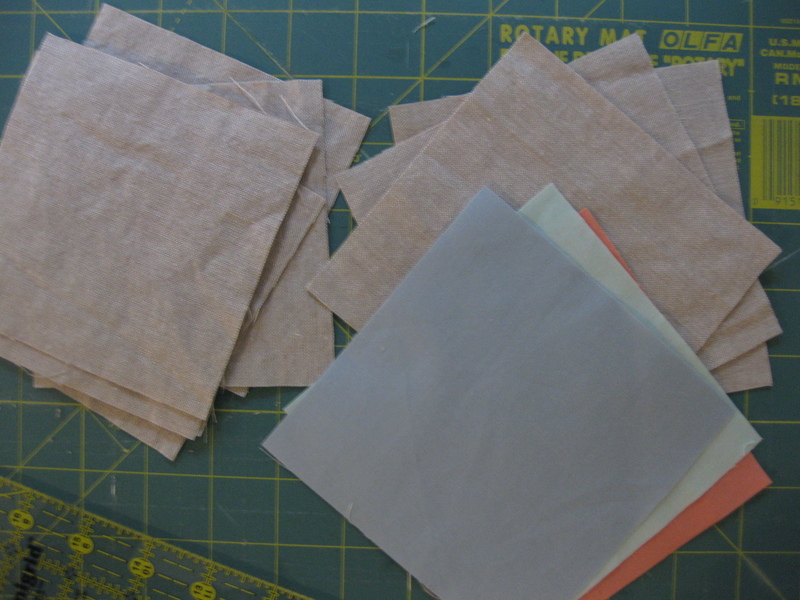 For the backs, cut six 4.5″ squares from the linen. 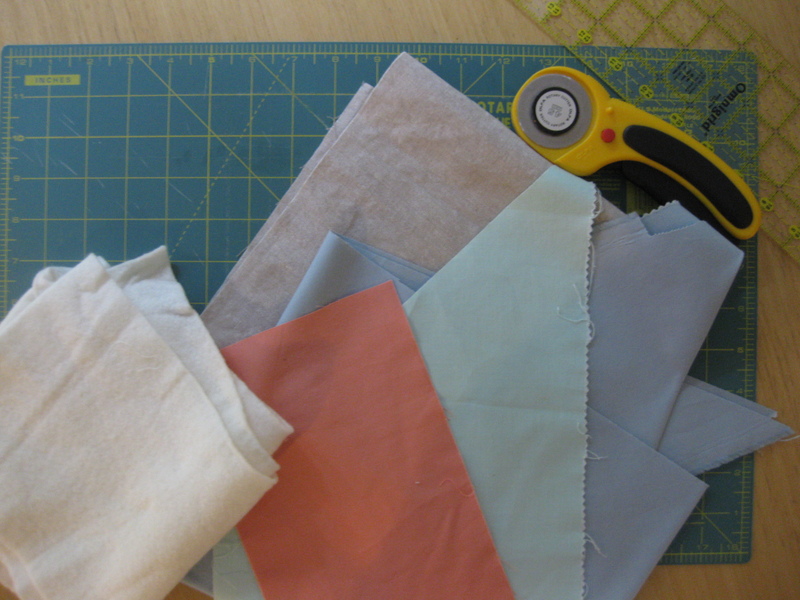 For the fronts, cut three 5″ squares of linen and three 5″ squares of quilting cotton. Cut six 4.5″ squares of batting. 2. Cut each of your front squares in half on the diagonal. 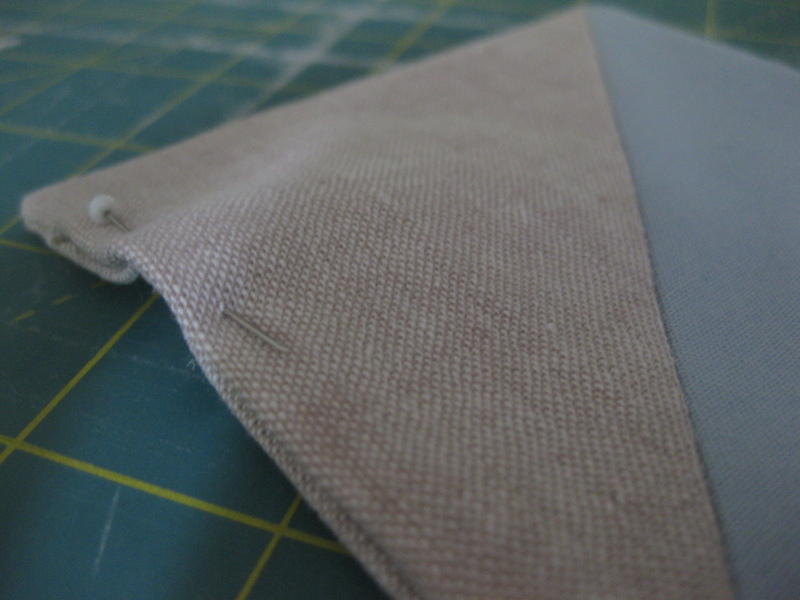 Pin each linen triangle to a color triangle then stitch a 1/4″ seam along the diagonal. Back stitch at the start and end of each seam. Press the seams open. 3. Trim your finished fronts so they are exactly 4.5 ” squares. 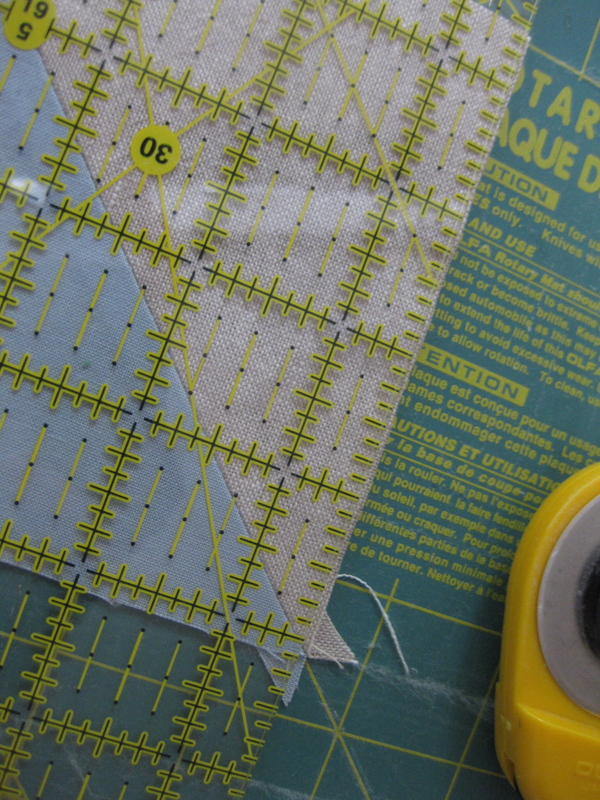 (If your squares are perfect, give yourself a pat on the back and just trim away those little points.) Be sure to trim so your diagonal line stays neatly centered. 4. Make a sandwich as follows: 1) back (right side up, if your fabric has a right side), 2) front (wrong side up), 3) batting. Carefully align the squares and pin. 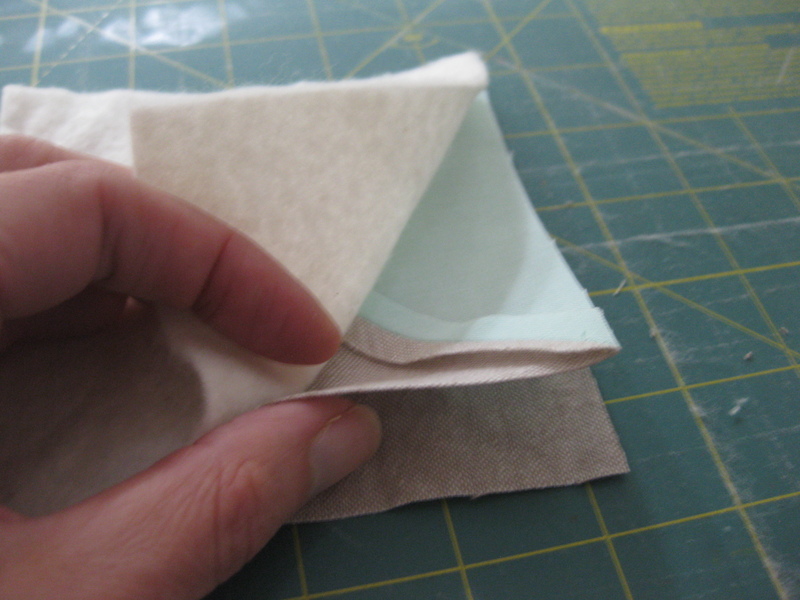 Starting an inch away from one corner, stitch (batting side up) around the edge with a 1/4″ seam. Leave a 2″ gap on one side. 5. Trim the corners and then turn your coaster right side out. When you are turning inside out, keep the front and the batting together. Poke out the corners to a neat point with a knitting needle or a chopstick. Turn under the raw edges of the gap so they align with the seamed edges and press. Pin the gap closed and then edge stitch around each triangle (back stitch in place at the start and end of each triangle). Repeat steps 4 and 5 for each coaster. Now you have a pretty set of coasters to gift or keep!